The feminine and elegant fragrance of PLEASURE GARDENIA 79 was created by the house founder Albert Krigler in 1879 as an engagement present for his French fiancée. His inspiration was the garden of the Kinkaku-ji Temple in Kyoto. 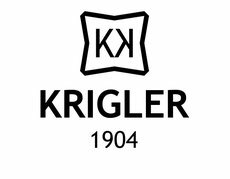 The romantic-floral fragrance was the first fragrance that was sold in 1904 in the first Krigler store in the Russian city of St. Petersburg and has since stood as an "engagement fragrance" for the very big love. The supple texture of the soap pampers the skin and infuses with floral-fresh scent of gardenia, jasmine and vanilla. A famous favorite of Queens and Princesses. This long-lasting, hard-milled soap leaves skin soft and lightly scented with lily of the valley, mimosa, white musk, and rose. 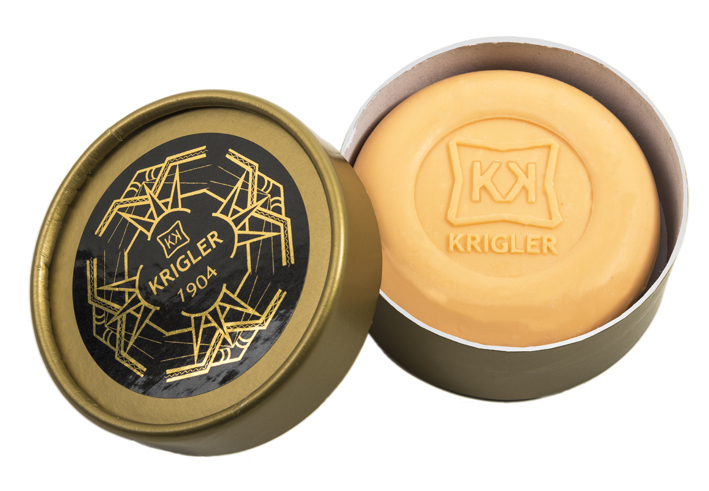 Its creamy and gentle formula, infused with Vitamin E and based on a 200-year-old recipe from Provence, leaves skin feeling soft, smooth, and instantly refreshed. 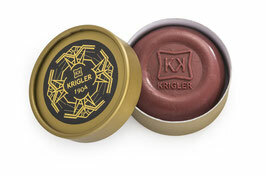 The classic fragrance, which launched in 1919, captures the elegance and glamour embodied by style icons. The best selling perfume is available as a fruity and floral soap. Notes of orange blossom, ylang ylang, fresh grapefruit, sensual white musk, oriental neroli and jasmine mingle to create this delicate, yet evocative scent. 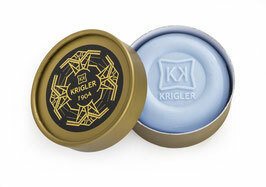 Beloved by many famous and refined Americans, known as the President scent – this alluring, energetic scent was created in 1931 to celebrate the spirit of the U.S.A. As a soft, skin-smoothing soap, the fragrance is just as refreshing and captivating, with dry notes of black pepper and cumin mixing with citrusy neroli and woodsy vetiver. This opulent and enduring fragrance, which was first formulated in 1955 adds a sensual ambiance and air of mystery when introduced into the bath. 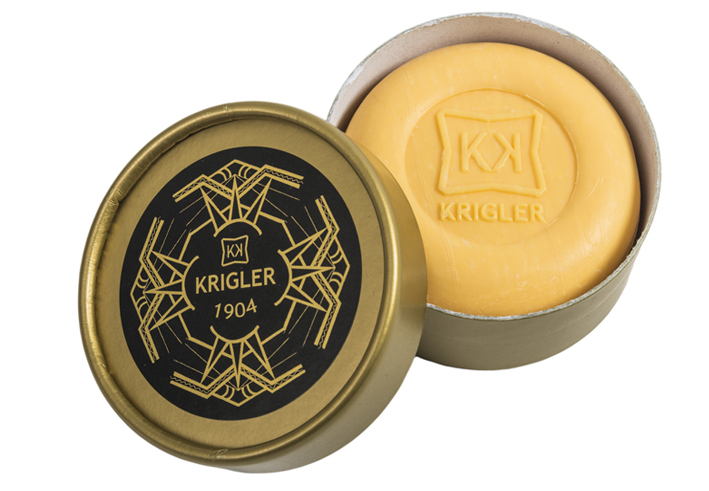 The smooth, softly textured soap creates an exceptionally gentle lather, leaving skin warmly and sweetly scented with notes of amber, patchouli, bergamot, and leather. 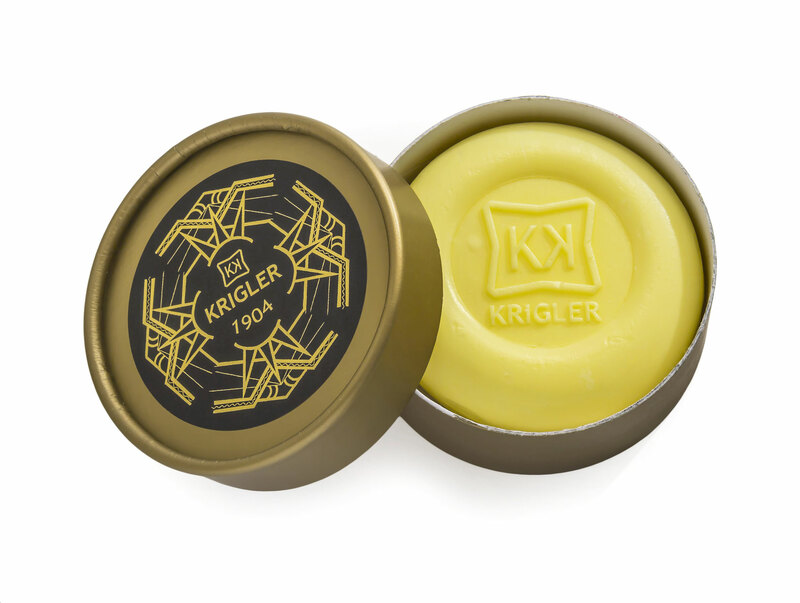 Created in 2009 to celebrate Krigler’s 105th anniversary, this fresh and citrus fragrance blends Corsican lemon, Chinese Tea, and pink peppercorn with the warm and sultry scents of Indian cardamom, bourbon vanilla, and soft cedar. Infused into a nourishing, non-drying soap formulated with shea butter, the distinctive scent adds a luxurious touch to the bath, surrounding your senses with pure relaxation and pleasure. The fragrance is worn by Royalties. A Monte Carlo inspiration that glitters with the effervescence of champagne and strawberries, snatching you out of your reverie with a charming twist of coconut and musk. Fashionably chic with its fruity energy.